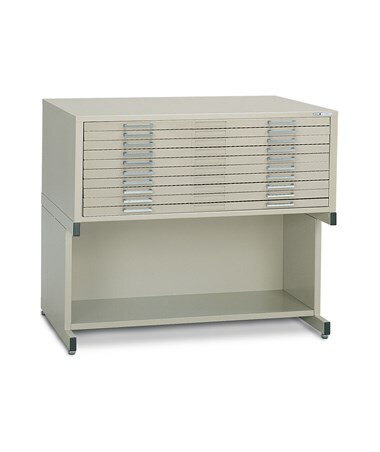 The Mayline C-File 10-Drawer Steel Flat Fileis perfect for active or archival storage of blueprints, drawings, survey plates, maps, and any other huge documents. 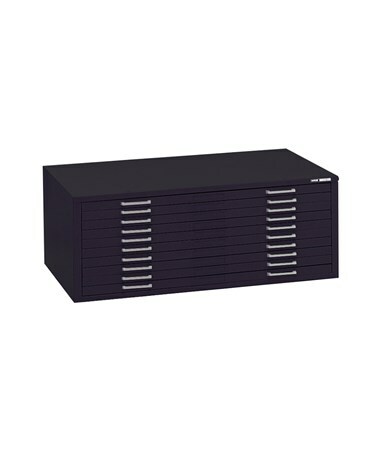 It includes an integral cap that can be used to bolt files together for stacking. 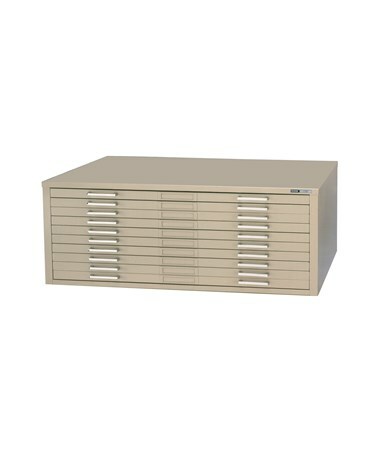 This blueprint storage is stackable up to five files on a low base, two files on base legs, and one file on a high base (Base is sold separately). 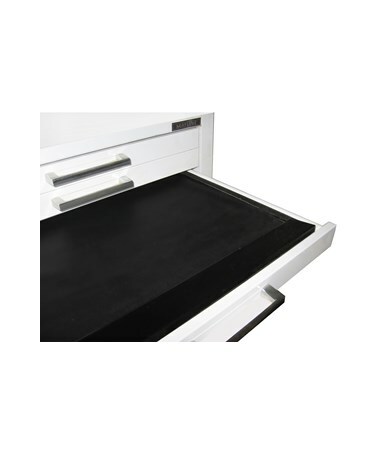 It can also hold up to 20 pounds or 100 sheets vellum per drawer. 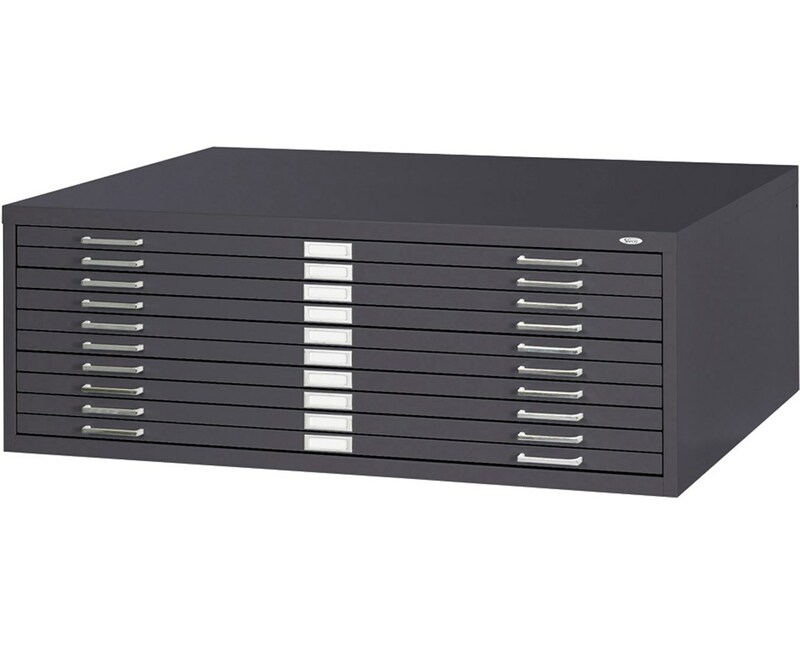 This Mayline steel flat file has steel drawer guides with ball bearings for an effortless glide. Plus, it comes with a chrome finish drawer pulls. 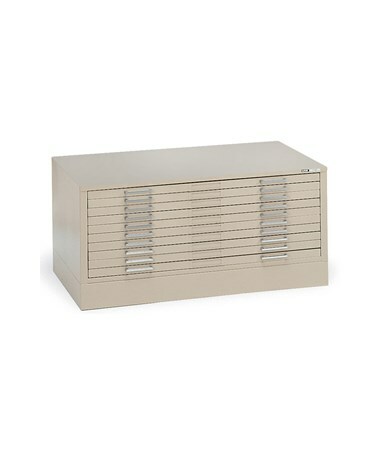 Each drawer includes a front metal depressor and a rear hood for an orderly, safe-keeping of documents. Made of durable steel construction, the Mayline C-file is robust and long-lasting. 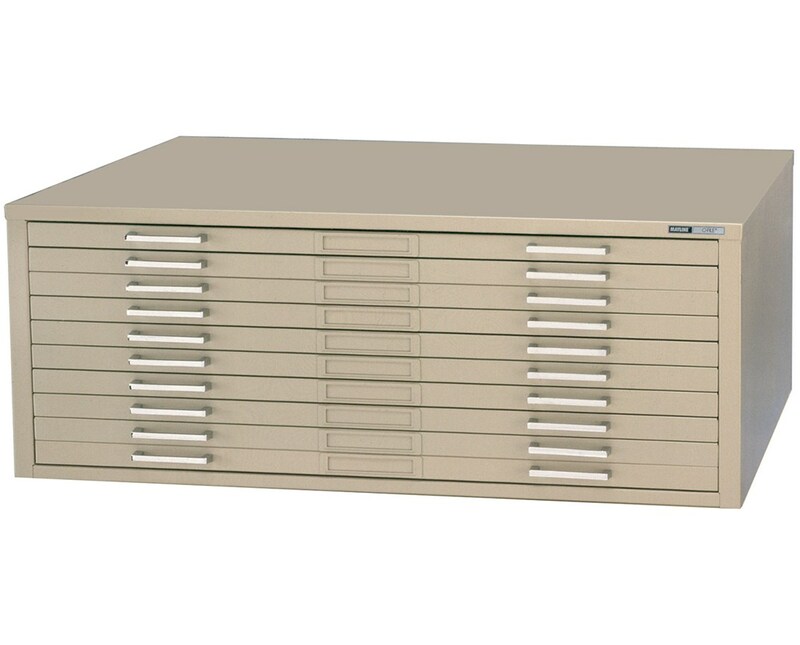 For low emissions, this ten-drawer flat file is Intertek Green Leaf certified. In addition, it has 18 color options to choose from and is easy to assemble. 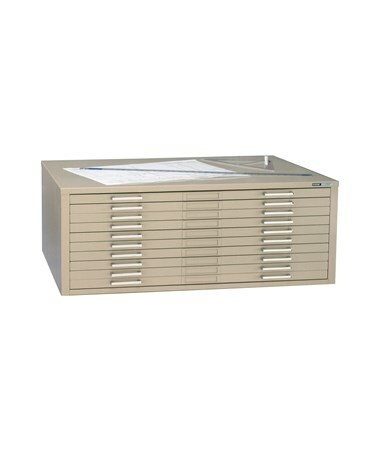 The Mayline C-File 10-Drawer Steel Flat File comes in three sheet sizes, an optional dust cover, and various colors to choose from. It is also backed by a limited lifetime warranty. Please select your preference from the menu above. Sheet Size: 24" x 36", 30" x 42", or 36" x 48"